The KARS Institute offers links to a variety of resources and tips that will assist you in organizing, managing, expanding and sustaining your organization. If you have a question or need assistance in a particular area, browse the resources listed below and feel free to check out our Presentations & Training options, online Library and the Nonprofit Know-How video segments. The KARS Collaborative provides an opportunity for you to ask questions, share information and receive assistance and support. "No man is an island" and there's no reason for you to have to navigate the waters alone. The Collaborative also features an online Facebook group where members can communicate and receive tips, strategies and assistance. Click here to join the group. The KARS Library features self-study guides, downloadable templates, recordings, instructional webinars and other resources to assist you in enhancing your organization. The goal of the KARS Library is to provide an opportunity for you to learn at your own pace and develop proven techniques and best practices. Click here to access the library. Hosted monthly on Lowcountry Live via the local Channel 4 affiliate in Charleston SC, our Nonprofit Know-How segments provide tips, strategies and information for nonprofits and small businesses. Tune in live on the last Thursday of the month at 10AM EST or view the archived episodes on our YouTube Channel. Topics include: grant writing; operational planning; sponsorships, marketing and PR tips, fundraising and more. 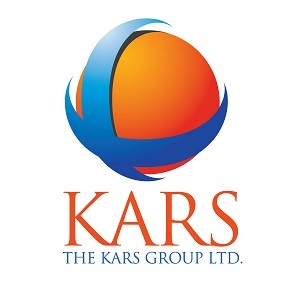 Because nonprofits and community organizations may have an immediate need to begin operations and/or wish to seek funding opportunities prior to applying for and being approved for their own 501c3 status, The KARS Insititute offers a fiscal sponsorship program where eligible nonprofits (with preference given to those who have participated in the KARS Nonprofit Accelerator Learning Cohort) are able to utilize our 501c3 in order to apply for grant funding and take advantage of opportunities where 501c3 tax-exempt status is required. Click here to apply for consideration. To provide you with an opportunity to share tips, strategies, ask questions and network with other members of the community, organizations, nonprofits, small businesses and schools, The KARS Institute hosts monthly Collaborative Think Tank Sessions as a way of providing you with a virtual platform to connect with others across the country. Hosted by conference call, these sessions are free of charge, but registration is required since space is limited. The KARS Institute serves as a placement agency for college and university interns who are seeking opportunities to work with nonprofits, community organizations, churches and schools. In order to be considered for intern placement, host agencies must fulfill certain educational and experiential requirements. The KARS Institute is also an official affiliate agency with the University of Central Florida School of Social Work and places students in the early stages of their field of study with appropriate host organizations. Click here to apply for consideration.